I do see more and more of these X-1R tail light swaps nowadays so could that mean someone in Japan found a buried treasure chest with unused stock of Cherry X-1R tail lights? Or could it be that someone is reproducing them? 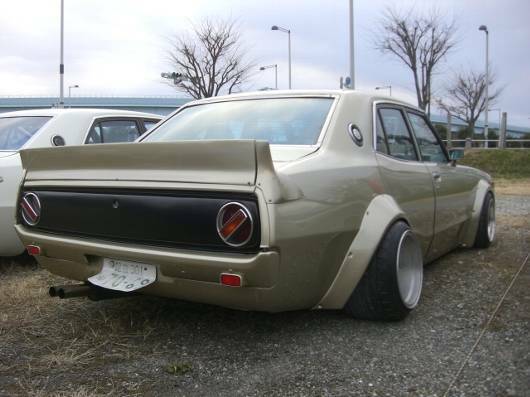 Also note that the rear door handles have been removed on this Yonmeri Skyline! I think you’re right, its gotta be a stockpile or a repro…..the alternative doesn’t bear thinking about….all those X-1R’s sitting there languishing for want of some tail-lights! Almost always on a Yonmeri, do I see Cherry tailights.